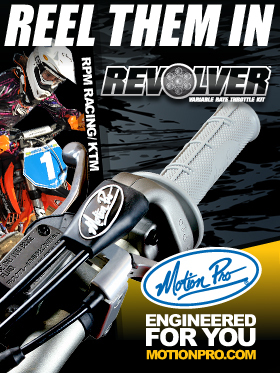 By mounting our handguards to the lower portion of the handlebar, we have simply eliminated the application variables. Resulting in a much easier handguard purchase process. 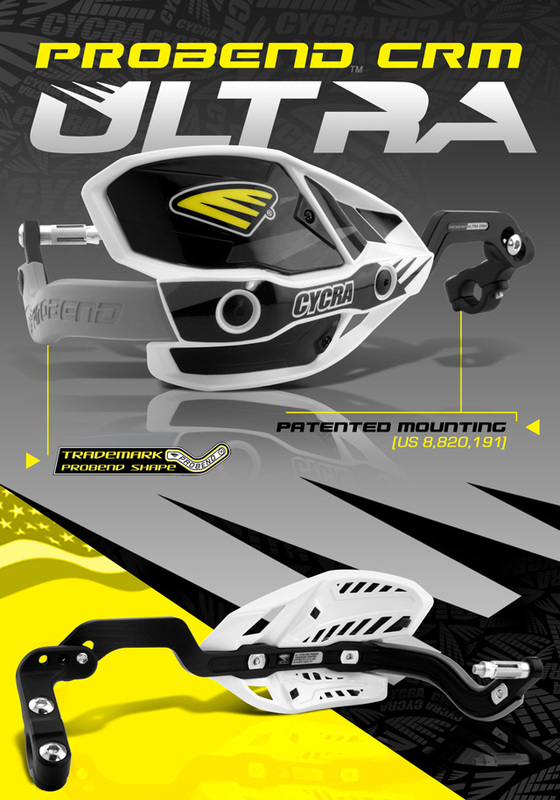 With Cycra’s superior materials, proprietary guard design, and proven clamp technology. 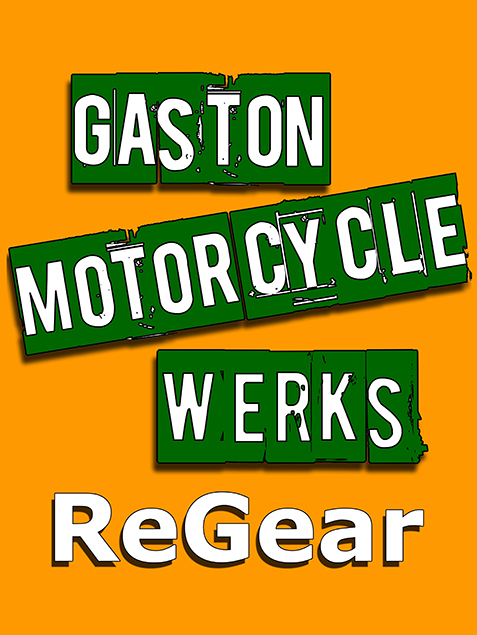 It’s obvious there is only one clear choice in off-road handguards. TRADEMARK PROBEND DIP | Probend shape protects & dips at the outside end to allow freedom of mobility for your hands. CENTER REACH MOUNTS [CRM] | Revolutionary designed CRM ULTRA clamps provide maximum bite to secure handguards and allows for superior clearance on a wide range of bars. New updates provide greater allowance for air fork top caps. PATENTED MOUNTING [US 8,820,191] | CRM bar has a rise bent in to clear cables and hoses. Mounts to the handlebar hard up against the bar clamps where even tapered bars are straight. The clamps are beefy with large Allen bolts and a thick arm rising up to mount the Probend bar. PATENTED CNC BAR | Machined from from 6061 aircraft quality aluminum creating varied bar wall thickness for superior strength and slimmer profile. INDEX BOLT SYSTEM | Offers position options and while keeping the bars tight and secure. Low profile bolt head prevents cable snags. NEW SHIELD DESIGN | The iconic “Cycra Enduro Hand Shield” has undergone a dramatic new design. Featuring a newly reformed ergonomic profile and shape. Enhanced with removable dual zone ventilation system on the top and bottom of shield. Allowing the rider to dial in amounts of ventilation and specific areas of protection. Advanced plastic design and injection molded construction produces a strong, rigid shield balanced with built in in flex zones. POWERGRIP BAR ENDS | Slotted barrel allows for firmer bite than ever. Fits standard 7/8″ and oversized bars.